Family member Heather Hawkins sent me the link to the Essendon Poultry Society website. Bruce Tyzack’s research uncovered considerable information about William Baker Tyzack’s son Thomas William Tyzack. 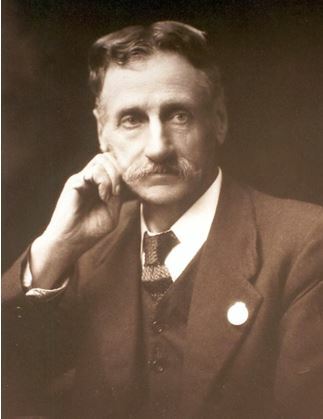 Thomas’s story has been ably recorded at length by Bruce within William Baker Tyzack and descendants in Australia. However it is always good to see others remembering this illustrious ancestor of ours – he is my great grandfather. What relation is he of yours? When we read the information on the Essendon Poultry Society‘s site “In 1890 a further meeting was held in the Moonee Ponds Town Hall and attracted 40 people. This led to the official formation of The Essendon Poultry, Pigeon, Dog and Canary Society. The elected president was Mr. George McCracken and Mr. Thomas William Tyzack was elected as secretary.” once again we can see Thomas was not afraid of work, involvement and commitment. The way Thomas William Tyzack presents is as a man of extraordinary energy. 1890 secretary of this Society. From earlier blog posts we know that in 1892 he was intimately involved with the Christ Church in Essendon. Meanwhile he was running his own business and letting it evolve, inventing products, travelling around Australia as a judge, a member of other societies and organisations, playing chess with my grandfather Gordon in competitions. And on it goes. His achievements over the years are huge, and his legacy lives on in many forms. At a personal level I can say that both my sister June and I, throughout our lives, have been workaholics, engaged in a diverse array of competing projects, and very active within many organisations. We have been and continue to be doers. We don’t sit on the sidelines and watch for others to do things. It seems to be in our DNA and I would suggest that at least some of the responsibility lies with Thomas. It is an exhausting way to live so I am not sure whether I should thank my great grandfather for this genetic bequest. But I am thankful because in making it a practice to be involved actively in life, I have met extraordinary people, travelled to amazing places, achieved all manner of personal and professional goals, and have been perpetually entertained by different experiences. As a child, I grew up with the responsibility to care for a cage of canaries. In my early adult life I lived in shared houses where dogs were part of the family. I have always loved the coo of pigeons, and have been alarmed at the means used to oust them. 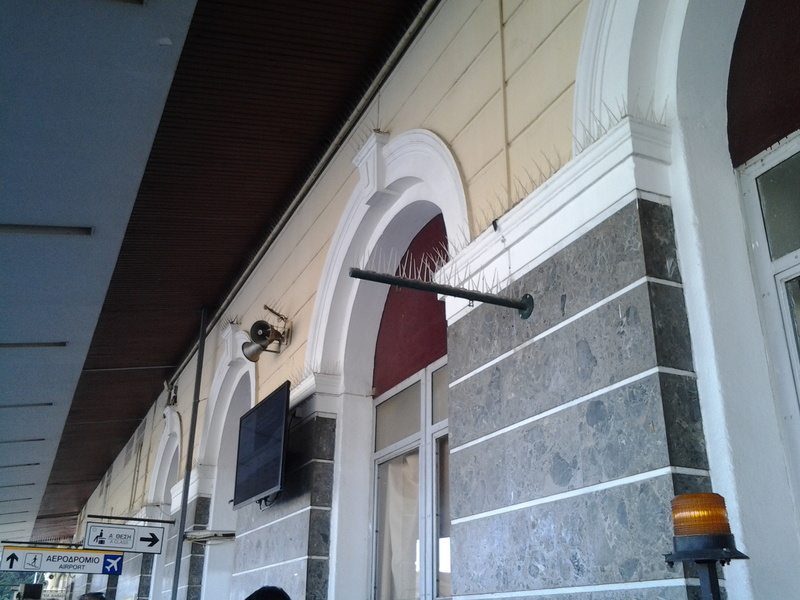 The photo below, which I took in Athens a couple of years ago, show spikes placed along ledges to prevent pigeons building nests or even resting. I have often considered raising chickens but never have. However, my sister does have a varied family of chooks roaming her property. I think Thomas would be pleased. I can remember the good times down at Yapeen when Aunty Del had chooks running around the back yard.Especially one certain day she was trying to catch one. And finally she did and thought she killed it when she strangled the poor thing by the neck.not long after we could hear this noise we went outside to investigate and here was the poor chook running around and around in circles clucking. So after this first attempt of trying to kill the chook, we just looked at each other and laughed. But finally the poor chook went to rest. This is a great story and I can imagine the two of you convulsed with laughter.